You are about to embark on a whole new journey in the world of education. In this tutorial we will take you step-by-step as you create your virtual classroom. 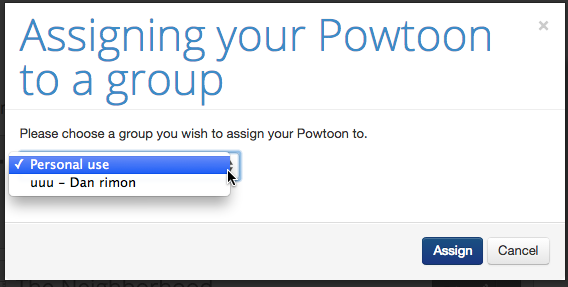 Your students will now have a better way to submit Powtoons: directly to your classroom account. After you register, you will see the main classroom page, as shown in the screenshot below. Your first step will be to add students. You can email them the first link listed in the screenshot below, or you can send them the “join group” link that is listed below that in bold type. When choosing the second option, don’t forget to provide your students with the access code. In both cases you must request that your students first create their PowToon student accounts. Once students begin to join, you will see the number of students in your virtual classroom window, as well as what percentage of your account you have used. 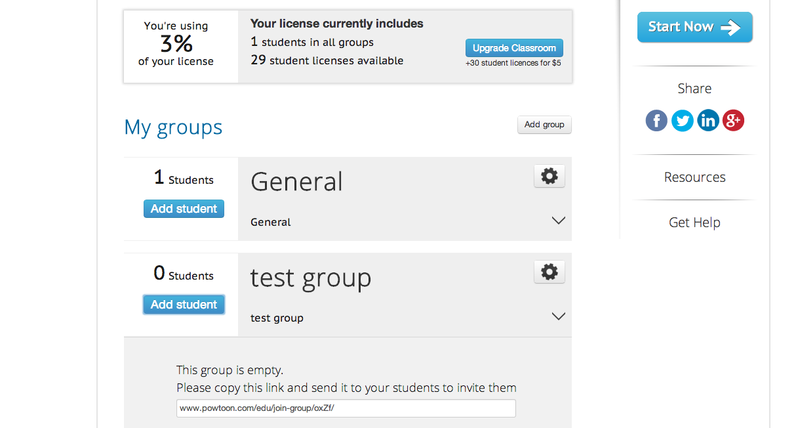 As you watch your classroom quickly fill up and realize that you will have more than 60 students in your class, simply click on the “upgrade classroom” button to extend your license options. 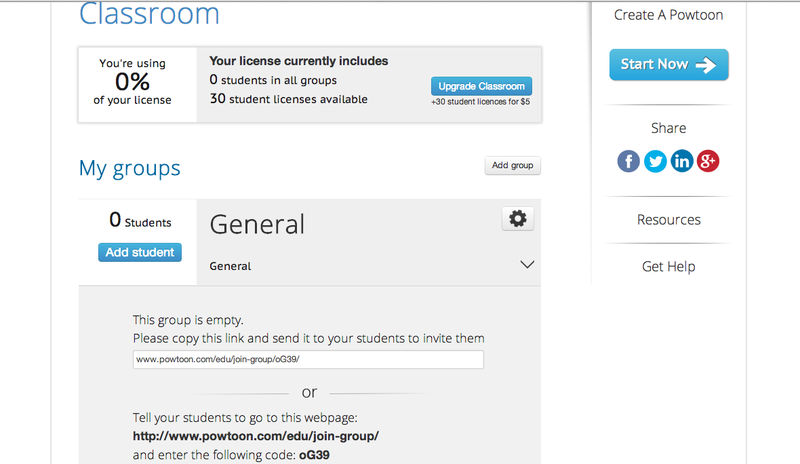 If you wish to create groups within your classroom you can select the “add group” button and create names and descriptions. 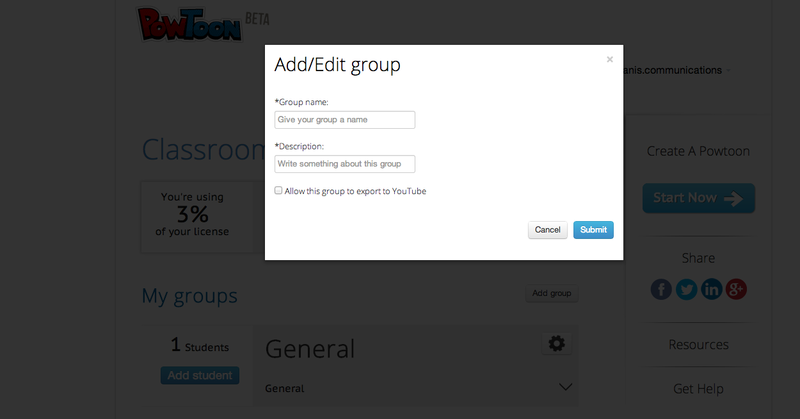 Here you can also decide which groups of students can export to YouTube. 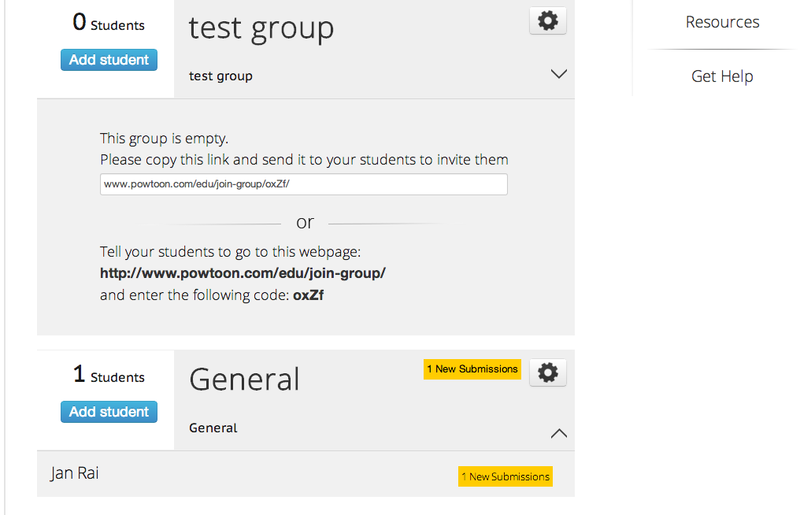 We created a test group in our example to show you how it will appear in your classroom page. This classroom interface can only be viewed by you, so your students will not have access to any of your data. One of the best features of this account is the ease of PowToon submissions for your students and the manner in which you can quickly access their videos. 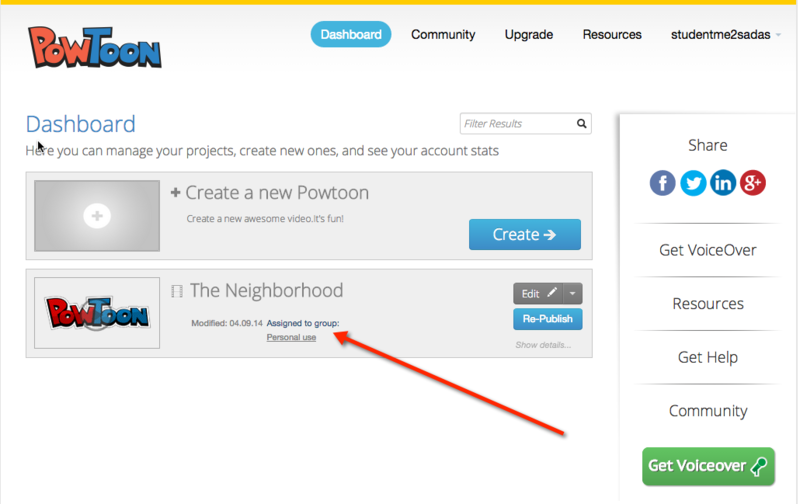 Since all of the PowToons will be submitted to you in one place, you can keep them well organized. When students create PowToons and save them under your group name, you will see the names of the students and a new submissions notice highlighted in yellow. By simply clicking on the new submissions section, a new window will open which will allow you to view each PowToon individually. This is a wonderful tool to use for assigning PowToon videos and collecting the work of your students, but please​ keep in mind that unless your students assign their work to your name under their individual account you will not see or be able to view their assignments. At this point each student selects the teacher they want to assign their PowToon to and then the teacher will be able to view the student’s presentation. Once you view a PowToon, the yellow highlighting will disappear, making it easy for you to keep track of which PowToons you have viewed.